Four additions, including Balboa Park, were made to a list of the most endangered historic sites in San Diego, released Thursday by the Save Our Heritage Organisation. 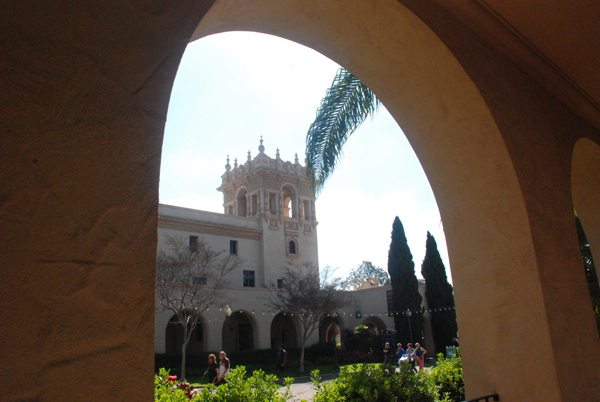 Balboa Park was added because of a revived plan to remove vehicles from the Plaza de Panama and Plaza de California. SOHO leaders object to the proposed construction of a paid parking garage and new roadways to carry traffic away from the center of the park. The plan was rejected in court in 2011 after SOHO filed a lawsuit, but the Superior Court ruling was overturned on appeal. Mayor Kevin Faulconer recently brought the proposal back to life, and the City Council last month provided $1 million in initial funding. Other additions to SOHO’s most endangered list include the Wonder Bread Building at 171 14th St., in the footprint of a proposed downtown football stadium and convention center annex; Presidio Park, established by Spanish explorers in 1769 and in need of restoration; and the Hillcrest commercial core, threatened by developers who want to raise the area’s height limit, according to SOHO. Red Roost and Red Rest bungalows at La Jolla Cove, which date back to 1894 and suffer from severe neglect. 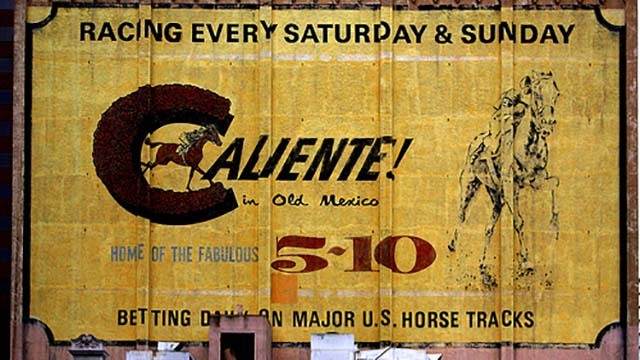 California Theatre and Caliente Racetrack mural in downtown San Diego on the side of a dilapidated structure on C Street where a developer plans to build a high-rise. Teachers Training Annex No. 1 at 4193 Park Blvd., used by the San Diego Unified School District for records storage. St. Luke’s Chapel in North Park, which preservationists hope to move to a new location. Henry B. Jones House at 4040 Fifth Ave., a 1911 structure on the property of Scripps Mercy Hospital that also needs relocation. Spreckels Warehouse on J Street in the East Village. And Barrett Ranch House, a deteriorating 1891 farmhouse in Jamul. The release of the SOHO list was timed to coincide with the announcement by the National Trust for Historic Preservation of America’s 11 Most Endangered Historic Places. The only California site on the national list was San Francisco’s Embarcadero, which is threatened by earthquakes and sea level rise, according to the trust.